Ken Scott joins Bob Enyart in studio to listen to audio clips from Edmee and Bevelyn. 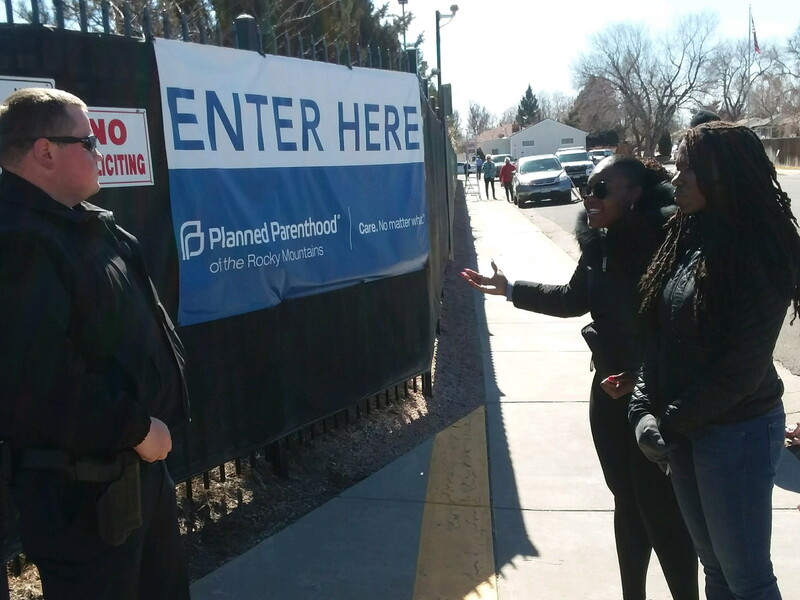 These two black gals from back east were shouting out warnings, and offering salvation through Jesus Christ, to the black women and others entering Denver's Planned Parenthood. The abortion clinic administrators, beside themselves over Edmee and Bevelyn's awesome witness, called the police. 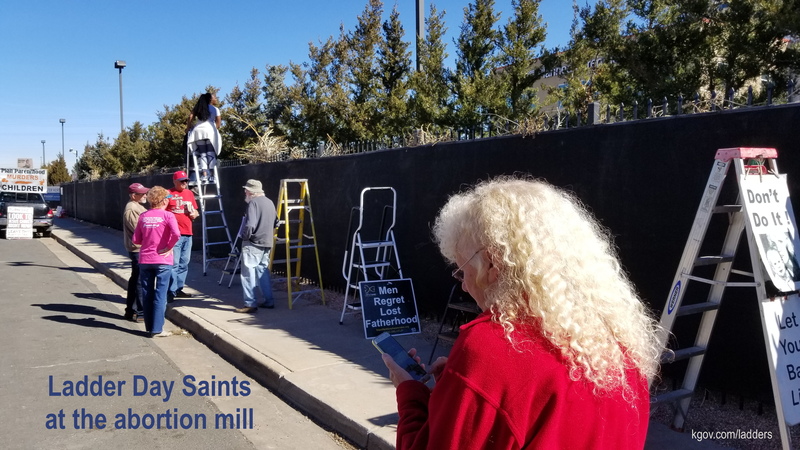 The police then, not having any valid course of action that would satisfy the abortionists, arbitrarily charged Ken Scott, Jo Scott's husband, with blocking the sidewalk with a ladder. He wasn't. 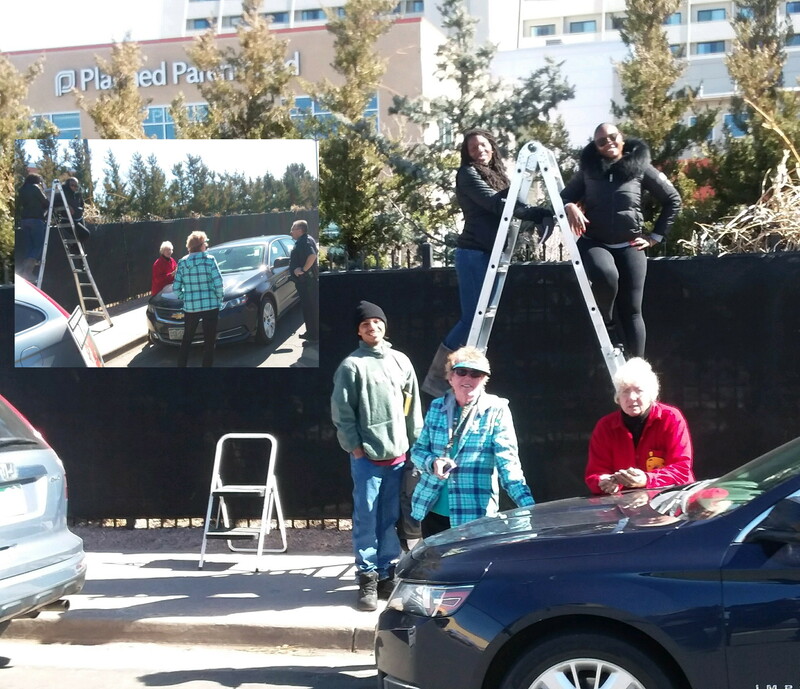 By the way, one of Denver's successful independent home builders donated to these anti-abortionists the tallest ladder (in the first photo, just below) so they could be more effective than when they use their older, shorter ladders (see the last photo, below). 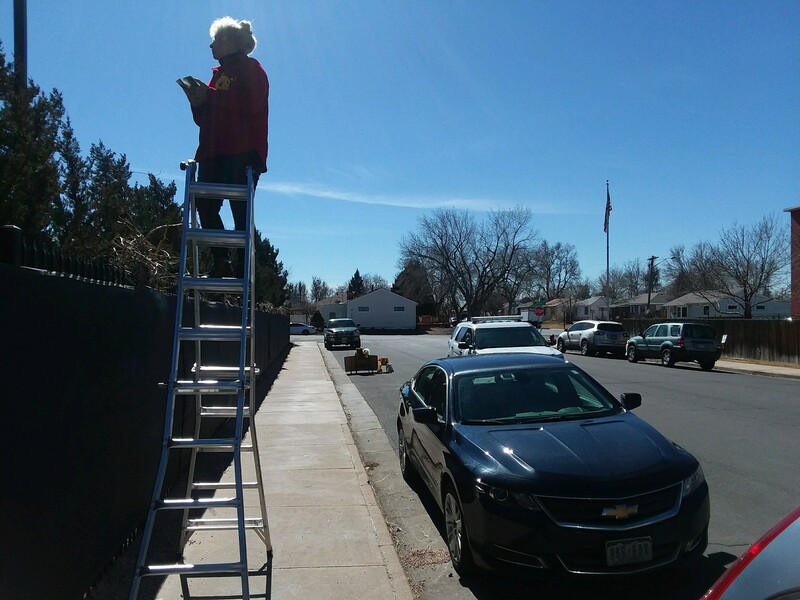 The very next day (as seen in that last photo), Bob Enyart stopped by to lend moral support and noticed six ladders where there had usually been one or two. Also, we wish Bevyln Beatty well in her race for the state legislature in Maine!